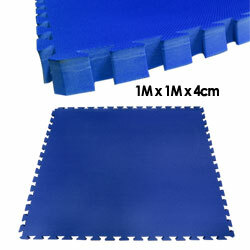 Description : Good protection for exercise impact and takedowns during training featuring a non-slip surface. Lightweight, portable, waterproof, shock absorbent and long lasting. Mats interlock with puzzle like edges for easy setup. Material: EVA (Ethylene Vinyl Acetate) foam. Comes with 2 straight edge fitter. For request of custom colors and dimension, please contact us directly.